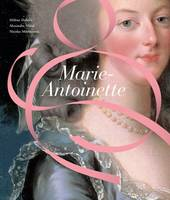 An intimate glimpse into the public and private world of one of history's most famous- and infamous-queens Marie-Antoinette (1755-1793) continues to fascinate historians, writers, and filmmakers more than two centuries after her death. She became a symbol of the excesses of France's aristocracy in the eighteenth century that helped pave the way to dissolution of the country's monarchy. The great material privileges she enjoyed and her glamorous role as an arbiter of fashion and a patron of the arts in the French court, set against her tragic death on the scaffold, still spark the popular imagination. In this gorgeously illustrated volume, the authors find a fresh and nuanced approach to Marie- Antoinette's much-told story through the objects and locations that made up the fabric of her world. They trace the major events of her life, from her upbringing in Vienna as the archduchess of Austria, to her ascension to the French throne, to her execution at the hands of the revolutionary tribunal. The exquisite objects that populated Marie-Antoinette's rarefied surroundings-beautiful gowns, gilt-mounted furniture, chinoiserie porcelains, and opulent tableware-are depicted. But so too are possessions representing her personal pursuits and private world, including her sewing kit, her harp, her children's toys, and even the simple cotton chemise she wore as a condemned prisoner. The narrative is sprinkled with excerpts from her correspondence, which offer a glimpse into her personality and daily life. Visually rich and engaging, this book offers a fascinating look at the multifaceted life of France's last, ill-fated queen. HE LE NE DELALEX is curator attache at the Palace of Versailles, where ALEXANDRE MARAL is curator. NICOLAS MILOVANOVIC is curator at the Louvre Museum.